What if “TGI Monday” became your staff mantra? An elderly man who lives near a school is regularly harassed by a group of students. So, one day he approaches them with a deal: He’ll give each one a dollar if they’ll all return the next day and yell insults at him at a pre-ordained time. They do so eagerly and receive the money as promised. But the old man also tells them he will only be able to pay them 25 cents the next time. More or less still happy to be paid, the children are there again the next afternoon to taunt him, whereupon the old man explains that, henceforth, the daily reward for hurling abuse at him will be one cent. “A penny?” The kids are highly offended. For such a pathetic amount of money it’s not worth the effort. Forget it, they say, and never bother him again. Like all good jokes, there’s more than a little truth in Kohn’s tale. Humans just don’t behave in seemingly rational ways, never more so than when it comes to money and the energy they are willing to exchange for it. Rewards work in some cases, but in others, they seem to not only deter quality work but bring out people’s worst sides. The things that we humans tend to pursue with the most care and deepest motivation — like preparing dinner for a family reunion, coaching a Little League team, building a treehouse or running a marathon — are things that are challenging and complex and sometimes even painful. This suggests the things that motivate us — and which sustain peak performance — are things like a sense of achievement, progress, the welfare of others, what other people think of us — the intrinsic stuff. It also implies sustained performance is a result of people acting because they choose to — not because they feel they have to. The final thing to appreciate about motivation is that it flows and morphs. Sometimes a surprise slice of free pizza will get the best out of an employee. Other times it is a heartfelt one-on-one talk. To unlock every employee’s fullest potential, you will have to experiment — every day and every week. In the following pages, we present a few ideas to help you on your way in this most vital and often mystifying field. 4 Logging certain aspects of your life can be a surprisingly powerful practice — not because there’s much value in the record you create, but because the very act of recording exerts an interesting psychological effect. Get staff to spend a couple of days recording their time use in detail, productivity experts advise, and they’re likely to find themselves using it more efficiently. The first observation is likely the discovery that they are frittering away many hours. 5 The Protestant work ethic basically equates labor with discomfort and looks darkly at levity in the workplace. But there is little in the way of science to support it as an approach to doing good work. Indeed, berating oneself for not working harder runs contrary to establishing a mood that gets things done. A fun environment, on the other hand, promotes innovation, healthy risk-taking, good morale and improved social connections. 6 Promote positivity, says Shawn Achor, author of The Happiness Advantage, explaining that an optimistic mindset boosts intelligence, creativity and energy levels. “In fact, we’ve found that every single business outcome improves. Your brain at positive is 31 percent more productive than your brain at negative, neutral or stressed, and 37 percent better at sales,” he says on his widely-viewed TED talk. Much of the reason has to do with a better ability to deal with challenges and setbacks. But just how to do it? Achor recommends meditation, gratitude lists, more exercise and acts of kindness like sending a 2-minute “thank you” email every morning. 7 In 1965, Howard Leventhal, a psychologist at Yale, wanted to see if he could scare students into getting a tetanus vaccination (still rare then) with a presentation of lurid images of patients struck by the disease. The students were duly alarmed — but not enough to get vaccinated. Leventhal found there was one intervention that made a difference, prompting 28 percent of students to get a shot, compared with 3 percent of the others. It was a campus map, showing how to get to the clinic and the hours it was open. Subsequent research has underlined the remarkable power of such step-by-step plans. Got something you want your staff to do? Give them a figurative baby-step map to get it done. 8 In Payoff: The Hidden Logic That Shapes Our Motivations, Dan Ariely cites the case of different European countries’ success in getting their citizens to sign up to be organ donors on their drivers’ licenses. The disparity is huge and much of it comes down to a simple tweak in form design. In countries where people have to actively opt out, the willingness to donate is much higher. “It’s not because it’s easy. It’s not because it’s trivial. It’s not because we don’t care. It’s the opposite,” Ariely says of the study’s findings. “And because we have no idea what to do (in such a case), we just pick whatever it was that was chosen for us.” Design a work place where the default option is work, and people will be productive. 9 There’s no shortage of apps to help your staff boost their productivity and stay motivated. One of our favorites is stickK (stickk.com), a free goal-setting platform created by behavioral economists at Yale University. Make a resolution and then if you don’t follow through, a pre-agreed amount of money will be sent to an organization you really detest. You then decide what’s worse, getting to work on time 20 times in a month or handing your cash over to Bernie or Donald or whoever else gets your hackles up. Another, HassleMe.co.uk, will remind you by email about anything you want, but does so at unpredictable intervals so that your brain can’t easily adapt to ignoring the prodding. 10 One of the most predictable and poignant (or pathetic, depending on your viewpoint) things about humans is our need to bathe in the warm glow of a compliment. Our brains light up even when we know the flattery is insincere. Think then of the power of a sincere compliment. Be on the lookout for chances to praise your team members. 11 For the most part, people want to work; they gripe when things like meetings stop them from doing so. Indeed, a 2006 study showed there’s only one group of people who say meetings enhance their wellbeing — those who also score low on “accomplishment striving.” In other words, people who enjoy meetings are those who don’t like getting things done. The key question for distinguishing a worthwhile meeting from a worthless one seems to be this: is it a “status-report” meeting so employees can tell each other things? If so, handle it with email or paper. That leaves much fewer “good” meetings, whose value lies in the meeting of minds, for example, a well-run brainstorming session. 12 One of the reasons slot machines are so addictive is the unique power of “intermittent variable rewards.” As Pavlov showed with his dog, random rewards are more motivating than predictable ones. Make a bonus guaranteed, and it loses its power to motivate. Give employees a perk out of the blue, such as free lunch instead. WHO MOVED MY CHEESY QUOTE? 13 The power of words tends to be fleeting, but that doesn’t mean you shouldn’t try to harness their uplifting power. Whether it’s on the notice board, a store Pinterest page, or the fridge door, look for places to adhere words of wisdom. Update regularly. 14 “Acknowledgment is a kind of human magic,” Ariely says. Indeed, some neuroscientists go as far as to say we need attention almost as desperately as we need food and warmth. Studies suggest that almost 50 percent of people who leave jobs quit because they feel underappreciated. Therefore, simply acknowledging a team member’s contribution can go a long way in making them feel appreciated and motivated. 15 Recent research says there’s something behind the bad apples theory: If a toxic worker sat next to a nontoxic worker, the toxic worker’s influence won out, with proximity increasing the probability that one of them would be terminated by 27 percent. Firing someone is, of course, a last resort measure. But if you have provided training, counseling and patience and the person evidently does not have the inclination to be there, it’s time for you to go your separate ways. And there’s also the sobering impact it has on other staff; firing the least productive employee serves to show staff that their jobs are not sacred. 81 percent of respondents said that they’d be willing to work harder for an appreciative boss. 70 percent said they’d feel better about themselves and their efforts if their boss thanked them more regularly. And yet, gratitude at the workplace appears to be a pretty rare thing, with just 10 percent of the survey respondents saying they were regularly thanked. Want a more motivated staff? Be more generous with the thank-yous. 17 Define excellence vividly and quantitatively. “Paint a picture for your most talented employees of what excellence looks like. Keep everyone pushing and pushing toward the right-hand edge of the bell curve,” says Buckingham. 18 Kind words and deeds count when it comes to motivating colleagues. According to research by Dan Ariely, complimentary remarks and pizza outpaced cash bonuses as ways to encourage workers to put forth more effort and show greater productivity. The results mirrored previous research by the London School of Economics and Political Science showing that people will work harder if they believe their work is appreciated. 20 Spend the most time with your best people. Talent is the multiplier, says Buckingham. The more energy and attention you invest in it, the greater the yield. In one example from First, Break All the Rules, they studied great employees in data entry roles. Initially, they found that top performers were 50 percent better than average. However, after investing in them, they were nearly 10X better than average. “Ever get bogged down trying to squeeze passable work out of a bad employee? How did it feel?” he asks. Spend the most time with your best people. Talent is the multiplier, says Buckingham. The more energy and attention you invest in it, the greater the yield. In one example from First, Break All the Rules, they studied great employees in data entry roles. Initially, they found that top performers were 50 percent better than average. However, after investing in them, they were nearly 10X better than average. “Ever get bogged down trying to squeeze passable work out of a bad employee? How did it feel?” he asks. 21 Consultants Brian Moran and Michael Lennington aren’t big believers in the value of a year, at least when it comes to setting goals. A year’s too big to get your head around, they argue in their book The 12-Week Year, and there’s too much unpredictability involved in planning for 10 or 11 months in the future. Besides, it’s awful for motivation: the New Year surge of enthusiasm fades rapidly, while the feeling of racing to the finish line — that extra burst psychologists call the “goal looms larger effect” — doesn’t kick in until autumn. In its place, they advocate dividing your year into quarters, and to think of each 12 weeks as a stand-alone “year” — a stretch long enough to make significant progress on a few fronts, yet short enough to stay focused. Woof … You may have loved a particular frame or collection but that was no guarantee your customers would. So, how do you offload the bad picks, the misfires, the ones that silver-tongued sales rep talked you into ordering? … Return to sender? Massive discount? Strip them for parts? Here are some of the more interesting ways your ECP peers dispose of their dogs. Most ECPs will be familiar with options such as standing discounts (a “junk drawer”), periodic clearances, value packages and the tried-and-true BOGO (buy one, get one free), or offering a special price without warranty. Remember that offering stock as freebies or incentives tends to work best with lower-cost frames. Jocelyn Mylott at D’Ambrosio Eye Care in Lancaster, MA packages stock lenses with discounted frames to sell them off. “We use these frames to fill the board space for all the vendor back orders as we board manage,” she says. Smart move, as it fills in unsightly holes in your board and gets eyes back on this malingering product. When it comes to using sales and discounts to clear inventory, the Vend retailing blog suggests keeping the following in mind: Try to turn sales into periodic events with a few “bells and whistles” so you’re creating new customers or building loyalty. Always use sales as a way to gather customer information, and remember to mix in a few good sellers as loss leaders. Where some see dogs, others see gold. Dr. Selina McGee of Precision Vision in Edmond, OK, dares you to “Mark it up — way up. That way everything else looks less expensive and it’s very exclusive. If you sell one, then you cover more of your investment.” (Our hunch is this would work best with luxury frames that aren’t moving.) Doreen Erbe at Snyder Eye Group in Ship Bottom, NJ, urges you to “Make that collection into a really cool display. Everyone will think the frames are new.” This is good advice; re-merchandising can breathe surprising new life into old stock. Your unsold merchandise can be a force for good. Lions Club is renowned for its eyeglass-recycling programs Charitable donations entitle you to a tax write-off. 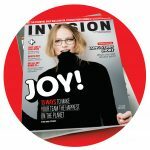 For a detailed “how-to” of donating stock to charity, of “Gifts in Kind,” check out the column Gary C. Smith, president and CEO of the National Association for the Exchange of Industrial Resources, wrote for INVISION in December 2017: invisionmag.com/041903. And here’s a channel right under your nose you might not have thought about. Julie Uram at Optical Oasis in Jupiter, FL on occasion gives unsold frames to a friend who puts them on eBay. Remember that using online marketplaces can be time consuming, as you’ll likely have to set up pages and jump through some other hoops. 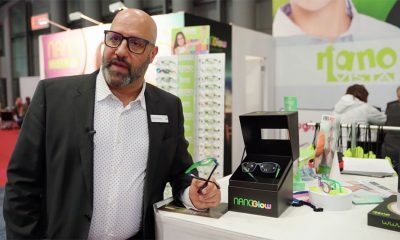 Those in the therapy niche take note: Dr. Pauline Buck at Behavioral and Developmental Optometrists in Miami, FL turns non-sellers into loaners that therapy patients can take home temporarily. “Concussion patients may often benefit from yoked prism base lenses. 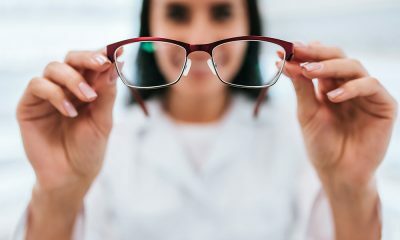 By … creating glasses in bases up, down, left or right — as well as a few base-in for individuals with convergence insufficiency — I can rent or loan them out.” Patients sign an agreement; if the glasses are not returned, Buck bills them the full price. Of course, you should always be monitoring inventory, but it’s important not to let your reps slack: “Keeping the frame rep responsible for shipping the top sellers in each frame line is one way to make sure the dogs never get dumped in the office,” counsels Leisa Lauer at Dr. H Michael Shack in Newport Beach, FL. Where once failure, the f-word, was the domain of losers, it’s now a cause célèbre, a hard-earned badge of redemption and authenticity. In ads for sneakers, athletes relish in how many times they missed the winning shot, in magazine articles CEOs take pride in recounting their blunders, politicians and celebrities their lowest moments, even their disgraces. Business gurus tell us to “fail forward,” governments roll out programs to encourage acceptance of failure in entrepreneurship and colleges offer courses for new students on dealing with the fear of failure. The benefits of failure shouldn’t be news to us. Toddlers develop into autonomous, well-functioning selves by testing boundaries. Fall over, pick yourself up, fall over with a little less pain the next time. It’s as basic and fundamental as evolution. Indeed, in his book Why Most Things Fail, theoretical economist Paul Ormerod argues that failure is the defining characteristic of successful biological, social, and economic systems; “99.99 percent of all species that have ever lived are now extinct. And, like species, most firms fail. On average, more than 10 percent of all companies in America disappear each year,” he says. The wisdom of learning from failure is incontrovertible, and the benefits manifold. From preventing recurring mistakes, to spurring innovation, to helping you find your true course, to uncovering opportunities, it often begins with failure. Yet for most of us mortals, this advice is still hard to take: failure is painful. Failure also involves some very real costs — it wastes money, destroys morale, infuriates customers, damages reputations, and can sometimes lead to legal trouble/malpractice suits. For small business owners, there is the very legitimate risk that a major failure — choosing a wrong location, for example – could be fatal. Further, there’s a concern among many managers that encouraging failure presents a moral hazard, that a fear-no-failure culture will lead to an anything-goes environment among staff. As a result, despite all the good talk about failure, most businesses continue to do the opposite. They punish mistakes, shoot the messenger bearing cautionary news, deny errors, blame others, make no systematic effort to study it and basically ignore whatever messages failure has to teach them. And in doing so, they double down on their errant course of action, stifle risk taking and take a step toward creating the very thing they are trying to avoid — a terminal misstep. As the business world becomes more complex and uncertain, the issue is becoming more critical. In 2019, leading a business is not so much about good management, as it is about how you respond to new threats, new trends, new technologies. Nobody gets it right the first time anymore. Amy Edmondson, a professor in management at Harvard Business School, sees three kinds of failures: Intelligent or good failures (when we expect to fail and learn something), preventable or bad failures (when we’re sabotaged by errors in judgment or ineptitude), or unavoidable failures (when complex systems break down). Intelligent failures are the easiest to deal with, at least from a psychological perspective, and there’s no shortage of Silicon Valley companies from Google to Intuit that have incorporated the exploration of such failures into their systems. Learning to deal with “bad mistakes” seems the most straightforward. And the approach the most traditional: Use checklists, improve training, encourage feedback. The third kind of mistake, the complex ones, are probably the most interesting because the situations in which they occur are increasing. The most effective approach involves giving into chance, expecting failure, and reacting flexibly, says Ormerod. Small business owners will face all three kinds of failures and need to be able to recognize them. In the following pages, we provide some tips to help you prepare for when things go wrong and to get the best out of situations when they do go awry. In business, those challenges are waiting every day. Go down valiantly. Failing is an inevitability and the stink of it is hard to shake. But we’ve got 27 tips to help you navigate those foul-smelling waters. 3“Expose yourself to lots of different ideas and try lots of different approaches on the grounds that failure is common,” says Tim Harford in his book Adapt: Why Success Always Starts With Failure. “This approach is far less intimidating than trying to come up with the best idea ever. You need Plan B, Plan C, Plan D. You need a full quiver of arrows.” Not only does a fallback position make it easier psychologically to be wrong, but it enables you to take away a wider range of lessons from each mistake, he says. Ideally, you want to try a mix of off-the-wall ideas and by-the-book practices. 4A common mistake even at big corporations is to test new products or services under optimal conditions, says Edmondson. Take the example of a new website rollout. Rather than assume visitors will be tech-savvy millennials, test the site with limited support, unsophisticated customers, and old computers or phones. Such tests would be designed to discover everything that could go wrong — instead of proving that under the best of conditions everything would go right. “Of course, the managers in charge would have to have understood that they were going to be rewarded not for success but, rather, for producing intelligent failures as quickly as possible,” she says. 5Author Daniel Kahneman suggests something known as a “premortem.” Before launching an event, gather your team and tell them to imagine they are in the future looking at the aftermath of the event, which has flopped. Why? This removes pressure about seeming disloyal by being less than positive about the project and makes it easier to make changes that could save it. 6The human capacity for self-deception is profound. It thus helps hugely to be aware of the kinds of biases that can undermine a proper evaluation of a project. Among the most common psychological blind spots related to failure are the “God complex” (feelings of infallibility), chasing your losses (taking bigger risks to win back lost money), or hedonic editing (when we try to convince ourselves that a mistake doesn’t matter, or finding some way to reinterpret our failures as successes). Few of us can make purely rational decisions. Beware of your biases. 7When Edmondson discusses failure with executives she often asks them to consider her Spectrum of Reasons for Failure, which lists causes ranging from deliberate deviation to thoughtful experimentation. “When I ask executives to estimate how many of the failures in their organizations are truly blameworthy, their answers are usually in single digits — perhaps 2 percent to 5 percent. But when I ask how many are treated as blameworthy, they say (after a pause or a laugh) 70 to 90 percent. The unfortunate consequence is that many failures go unreported and their lessons are lost.” To be sure, managers need to make a distinction between excusable and inexcusable mistakes, but often by probing deeper there are underlying causes that are more important. Was the cause of an error carelessness, lack of training, fatigue or some other issue? 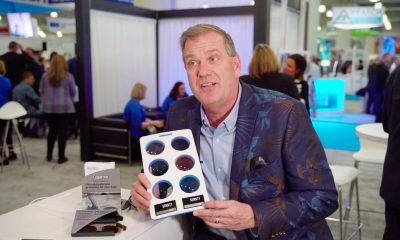 Rick Rickgauer of Vision Associates in Girard, PA, recalls such an instance from earlier in his career: “A long time ago, when I worked at LensCrafters (when it was owned by US Shoe) in Tucson, they were opening a new store and hired two lab guys with a ton of experience. Suffice to say they crumbled under the one hour cookie. The lesson learned was this: hire people for the lab with absolutely no experience because they come in thinking that is the norm. They don’t know any better. The best lab people we ever had came in as bare-naked novices.” And even in those preventable instances involving “bad failures,” there is still a learning opportunity. As the line goes, good judgment comes from experience. Experience comes from bad judgment. 8Look for opportunities to share your mistakes, be it at a lunch, an industry peer group or some other professional gathering. “If you’re having lunch with some of your peers, then revealing failure is a great strategy to induce levels of liking by reducing malicious envy,” Harvard’s Edmondson says. “When people share their experiences in an atmosphere of respect and mutual trust, a special kind of magic occurs: smart people become wise and their businesses begin to grow,” says Williams, who regularly brings together small businesspeople to study at his Texas retreat. 9A failure résumé is a simple idea: When you fail, write it down. But instead of focusing on how that failure makes you feel, take the time to step back and analyze the practical, operational reasons that you failed. What’s the point of such self-flagellation, asks Tim Herrera in his Smarter Living column for the New York Times? “Because honestly analyzing one’s failures can lead to the type of introspection that helps us grow — as well as show that the path to success isn’t a straight line.” It can also be a reminder of how much you’ve tried, said Melanie Stefan at Edinburgh Medical School, who gave the idea some publicity when she called on fellow academics to publish their own “failure résumés” a few years ago. 10According to Dan Ariely, author of the best seller Irrationally Predictable, organizations and humans as a whole tend to focus too much on the outcome rather than the process. “Sometimes the idea is very good but the outcome is negative.” If we want to encourage good ideas and people to try difficult things, then we need to emphasize systems over goals, and analysis over blame. Edmondson concurs: “The key is to insist on developing a clear understanding of what happened — not of “who did it”— when things go wrong. Farson and Keyes recommend eschewing both praise and blame. “Failure-tolerant leaders avoid giving either praise or criticism, preferring to take a nonjudgmental, analytical posture as they interact with staff. And they try to root out the destructive competitiveness built into most organizations,” they write. 11A crucial question to ask yourself about your mis-hits, is, “Am I failing differently each time?” says Steven Levitt, author of the business bestseller Freakonomics. For all our talk here about failure, what we are actually talking about is learning. Fail the same way over and over and you’re clearly not learning. 14While it’s useful to reflect on individual failures, the real payoff comes when the lessons are spread across the organization or even better, they become part of institutional memory. At Coca-Cola, stories about the failure of New Coke are still told 30 years on. Former CEO Roberto Goizueta got years of one-liners from the fiasco. “Admitting his mistake conveyed to his employees better than a hundred speeches or a thousand memos that ‘learning failures,’ even on a grand scale, were tolerated,” says Farson. 15“The biggest mistake you can make as a leader is to shoot the messenger and bury the bad news,” write Birkinshaw and Haas. “Big, painful, expensive failures are easy to spot. But in many organizations any failure that can be hidden is hidden as long as it’s unlikely to cause immediate or obvious harm.” The goal should be to identify it early, before it has mushroomed into disaster. Among the ways to do this: creating a shared understanding around the types of failures that employees can expect; being accessible as a leader and rewarding the messenger who brings up bad news. 17In his book The Checklist Manifesto, Dr. Atul Gawande argues that in our complex modern world, failure results not so much from ignorance (not knowing enough about what works) as from ineptitude (not properly applying what we know works). His solution — checklists. In medicine, a field where the available well of learning expands exponentially every year, the problem is “making sure we apply the knowledge we have consistently and correctly,” says Gawande. A recent study in UK hospitals suggested that wider use of checklists might prevent a staggering 40 percent of deaths during treatment. If surgeons can fill out checklists, the rest of us should probably be willing to run our expertise by the numbers as well. 20The pioneering behavioral psychologist Daniel Kahneman changed the standard view that humans are rational economic actors. The Soviet Union proved something similar for economies — what looks to be efficient rationalization is often a system that can’t learn or adapt. It’s the same for just about any business. British advertising great David Ogilvy had an interesting take on this: “The beginning of greatness is to be different. And the beginning of failure is to be orthodox. Big ideas come from the unconscious. This is true in art, in science, and in advertising. But your unconscious has to be well informed, or your idea will be irrelevant. Stuff your conscious mind with information, then unhook your rational thought process.” Go expose yourself to ideas and experiences. 22A lot of us look to athletes for inspiration, especially when it comes to taking on a daunting challenge. But according to British sports psychologist James Hamilton, many elite athletes have a pretty unhealthy view of success and failure, associating defeat with an all-round failure of the self. To be sure, it can fuel a heightened drive, leading them to put up with huge levels of discomfort and deprivation, but it can also result in risk-avoidance and self-blame when things don’t pan out as they had hoped. A much healthier view, he says, is to remember that any failure “stands separate” from you. That if you fail, the failure happened, but you don’t become “a failure” he writes in The Guardian. 23Recognizing failure can be surprisingly difficult. We’ve been trained that “persistence pays off,” so it feels wrong to cut our losses and label an idea a failure. “Decide what success and failure would look like before you launch an initiative,” says Wharton Business School’s Rita Gunther McGrath, noting that some big corporations build exit strategies into their projects to ensure that doomed or resource-sucking efforts do not drag on. “Being able to recognize a failure just means that you’ll be able to re-cast it into something more likely to succeed,” adds Harford. In such instances, feedback — either in the form of data or third-party reviews — is essential for determining which experiments have succeeded and which have failed. “Get advice, not just from one person, but from several,” he says. 26There’s a view that success doesn’t have much to teach you — you may have been lucky, it will cover up mistakes, it saps the will to innovate, it can make you overconfident and misattribute the real factors at play. But it doesn’t have to be that way, say Francesca Gino and Gary Pisano in an article in the Harvard Business Review (“Why Leaders Don’t Learn from Success”). “Celebrate success but examine. Ironically, casting a critical eye on your success can better prepare you to avoid failure,” they write. Gino and Pisano say the right question for leaders of learning organizations to ask is not “What are we doing well?” but rather “What experiments are we running?” Keep looking at data even when things are going well — understanding why you’re successful is as important as understanding what causes mistakes. 27When things aren’t going well, there’s a fabulous world of inspiration out there — podcasts, TED talks, no end, really, of great people who have experienced what you’re going through and can provide a pick-me-up or reassurance or even tactical guidance. Designer Ida C. Benedetto told the Creative Independent she keeps a collection of such talks on her website — you can find them here: invisionmag.com/041901. Loyal customers — not the ones who choose you because you’re the closest optical, or in the building they work in; we mean the ones who cross town to see you, the ones who are genuinely loyal — bring immense benefits. 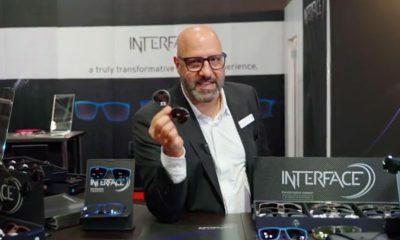 To name just a few, they reduce the cost of every sale, they tolerate price increases and the odd gaffe by a new employee, and perhaps most importantly in the eyecare business: they generate referrals. But how do you win these mythical creatures over? We asked ECPs about some of the more creative ideas they’ve come up with for winning the undying love of their customers. The business district in Decatur, GA, holds an annual wine crawl through about 30 businesses, and Decatur Eye Care wasn’t about to let their customers miss out. Held in early March, all the businesses open their doors on the weekends, and put out appetizers and quality wines. “It’s a great way to introduce new people to your business and meet current patients in a more relaxed environment,” shared owner, Tom Brillante, OD. Similarly, Avenue Vision in Golden, CO, decided that instead of the traditional frame show, they’d collaborate with area artists and craft breweries. According to Becky Furuta, the result is “an event with a local vibe and a lot of cross-marketing. It’s an easy way to tap into other parts of the community with whom you don’t normally do business, and to bring a local focus to the business.” Who wouldn’t be back? Of course, nothing inspires loyalty quite like a reward in the hand. Far be it from us to encourage the pursuit of instant gratification, but an analysis of 20 brands by digital agency Hawkeye found that the most popular loyalty programs have one thing in common: “customer experience [i.e., the reward] is delivered close to the actual purchase.” That’s what Ames Eye Care in Ames, IA, discovered when they started their referral program, which according to Susan Ames has brought them many new patients. “When a patient refers a new patient and that patient has their exam, both patients can choose either a $50.00 credit in office toward glasses or contacts, or they can receive a $25.00 Amazon gift card,” says Ames. One of the more interesting trends among ECPs who are serious about locking in customer loyalty is developing a reward program app. Buena Vista Optical in Chicago, IL, asks patients to sign up with their phone number. Every dollar invested in their vision, and every patient referred gets them points they can cash in for their next eyewear purchase. “We have already used it for two-and-a-half years and we feel this app has definitely kept our patients loyal,” says co-owner Diana Canto-Sims. Having your own app can allow you to get really creative with marketing: the goal is to get people to register. (Domino’s famously awards pizza points to anyone who uploads a picture of themselves eating pizza—even if it’s a competitor’s. Of course, you have to register to upload.) 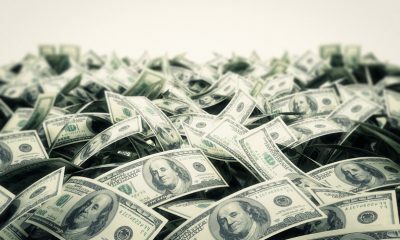 According to The Manifest tech blog, nearly half of small businesses it surveyed spent less than $25,000 on theirs. There are various ways to go about it: DIY app builders, hiring outside developers and relying on tech savvy staff are the most common options. ECPs who believe “discount” is a dirty word, look away now. But while you’re doing that, those flex dollars will be flowing somewhere else. Just ask Robert McBeath, retail operations manager at Edina Eye in Edina, MN, which runs half off all in-stock frames December through January. McBeath has been doing year-end frame sales for a long time, turning those inventory dollars into cash the practice can distribute, rather than pay taxes on. “We stop buying frames in October and run the sale as an inventory reduction sale with reduced prices only on in-stock merchandise. That saves the ‘see-a-different color’ dilemma. We put up posters in the office, add the promotion to the website, push it on Facebook and sometimes an e-blast,” he says. The Dec. 1-Jan. 31 timeframe catches year-end and New Year flexible spending money. Patients have come to expect it and many contribute to their FSA knowing that if they over-contribute they can always use the money for eyewear. “I have a few that routinely come in at the end of the year to use up their flexible spending. It does keep patients coming back,” McBeath confirms. At Vision Solutions in Lamar, MO, they call it “top-of-mind awareness.” All their marketing, according to Bryan Hartgrave, is coordinated to optimize this awareness of the practice, and targeted specifically to people living in the communities it serves. One of the best ways it’s found to do this is to implement a social media blitz several times a year, and they’ve also worked on geo-targeting their offices on search engines. “We maintain a daily social media presence with a balance of fun and educational content highlighting different themes throughout the year,” says Hartgrave. They do a frame show twice a year, and social media is a significant part of promoting it and other events and initiatives. Let’s face it: All customers are not created equal. The truth is, it pays to identify your best customers and do something special for them. Central Texas Eye Center in San Marcos, TX, have moved away from traditional trunk shows to focus on VIP private events every few months. “Our really good customers absolutely love that we close the store for them and make things personal,” says Leah Johnson. Once a VIP show is scheduled, invitations are emailed to all of CTEC’s clients. “The invitations clearly say ‘VIP event; you’re invited! Appointments are required to attend.’ If someone is interested in one-on-one attention, in a party like setting, they will respond and schedule their event appointment. These types of guests really appreciate that we close the doors to the public for the show,” says Johnson. CTEC experiences better sales at VIP events over trunk shows, because people are committed to purchasing instead of being there to look. “We weren’t afraid of losing money by closing the doors, and found out these are really profitable events,” she says.